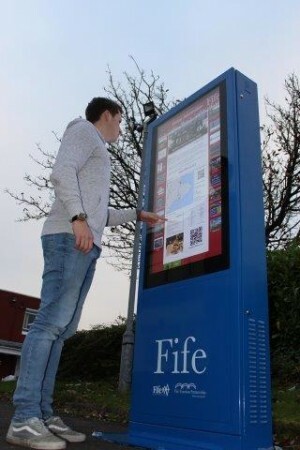 Tourist information centres and Digital Kiosks throughout Fife provide useful information & helpful advice. VisitScotland facilitate Visitor Information Centres throughout Scotland and offer a wide range of products and services. Staff provide information on what’s on in the local area and beyond, advice on travel, eating and drinking and visitors can arrange accommodation for their entire trip. Their Information Centres also have a range of literature from free leaflets to maps and books for purchase together with a selection of gifts. A number of the Information Centres also offer a ticketing service for tours and events. Dunfermline Information Centre is located on the High Street by the Historic Quarter of Scotland's ancient capital.